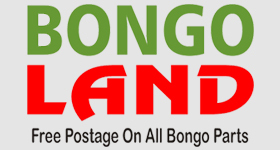 Topic: Finally Got A Bongo ! Re: Finally Got A Bongo ! Fresh import. I hope that you have made sure that your Bongo has been undersealed. Remember they do not underseal vehicles in Japan as they do not use salt on the roads over there. Without undersealing your Bongo will soon start rusting in the British winter. Topic: Any Scottish/northern meets planned? Re: Any Scottish/northern meets planned? Sent you a PM Ady. Anyone going to Silverdale Beer Festival this year and booked in at Gibraltar Farm campsite ??? Topic: Loads of owners in the NW, where are they chatting? Re: Loads of owners in the NW, where are they chatting? All ready for Allithwaite. See you lot tomorrow around 4pm hopefully. Better attach a parachute to it so it can have a soft landing. Just put on a few pounds before Saturday Ady. We may need them to weigh the van down if I don't get my usual spot. An extra passenger with me. June's son has recently moved in with us again so I will be bringing him along if work does not get in the way. Looks like Addy is going to have a fight on for his Scotts breakfast.